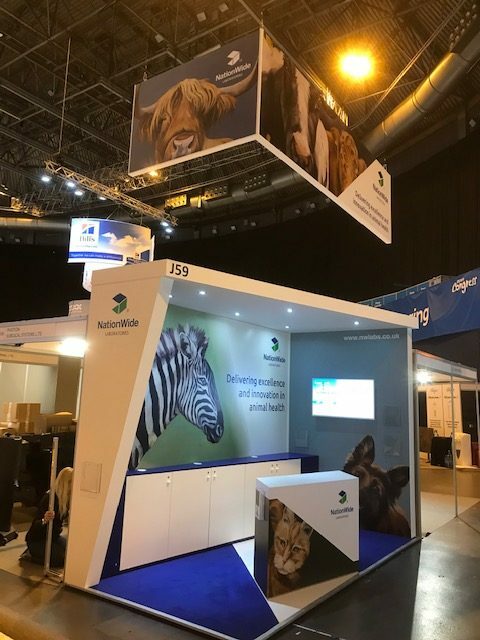 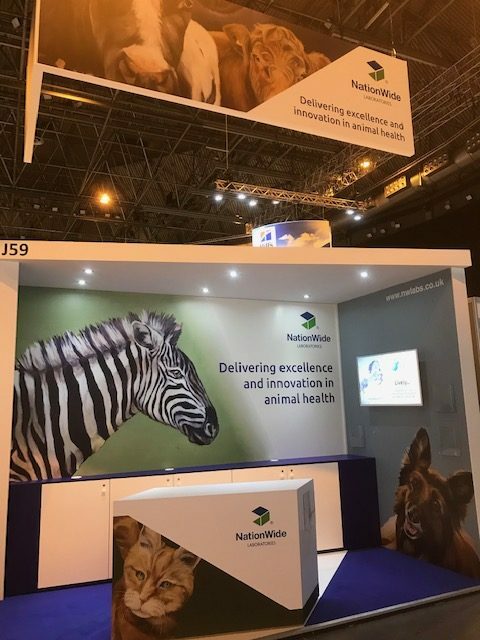 NationWide Laboratories invited Discovery Events to design and build a brand new stand for BSAVA this year at Barclaycard Arena, Birmingham. 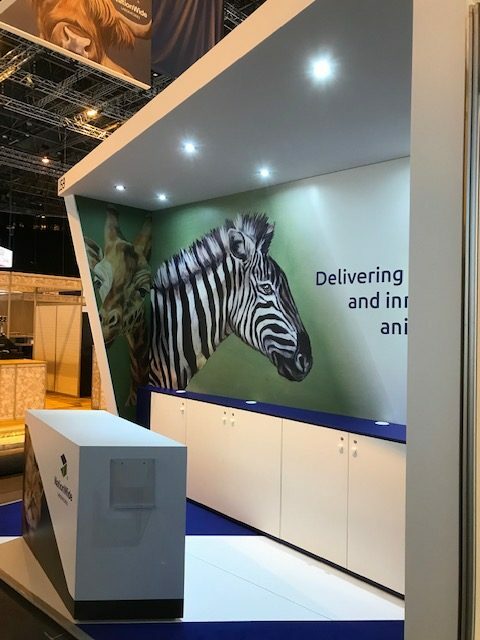 The brief was to create a stunning exhibit in which to showcase some original commissioned artwork for their graphics in a 8sqm space. 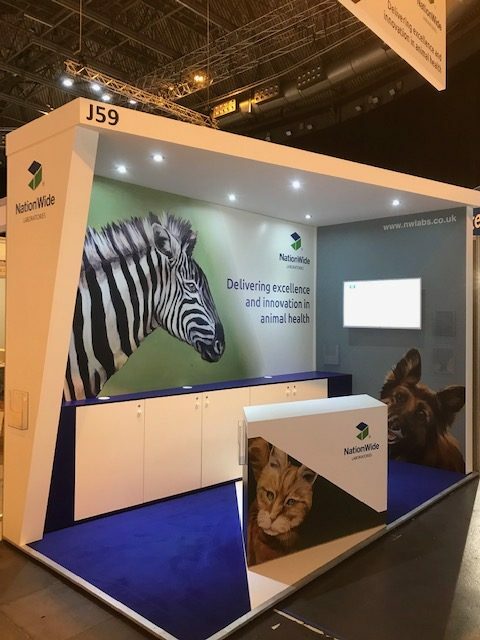 With its eye catching asymmetrical design, overhead lighting soffit and suspended hanging banner to attract maximum exposure, the stand drew a lot of positive attention.